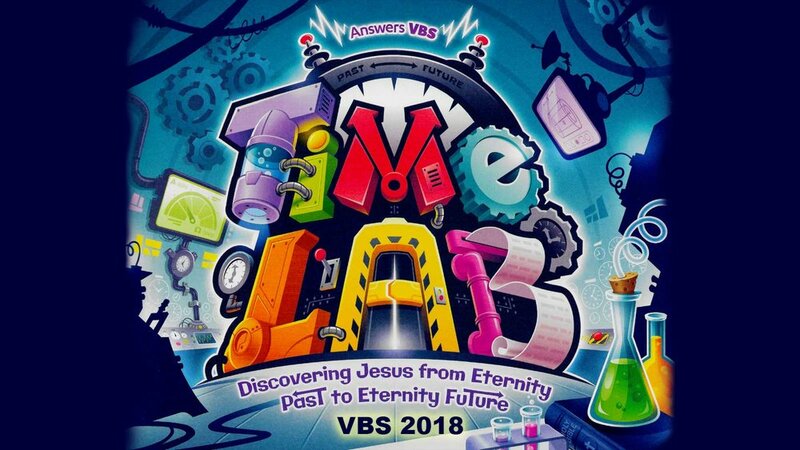 Get ready to launch into hyperdrive at Time Lab, where we'll discover Jesus from eternity past to eternity future! Did you know Jesus existed before he was born as the baby in the manger? Did you know he was actively involved in creating the universe? And that he existed even before we read about him in Genesis 1:1? Did you know we can find him in the accounts of the Old Testament? Do you know what he did while he was here on earth? Do you know what he is doing right now? At Time Lab, we'll have a blast uncovering the truth about Jesus through his Word! You will not want to miss a nanosecond of the fun, so set your watches and make plans to join us at Time Lab! Welcome to Ocean Commotion! Every day, our kids are challenged to stand for God in their schools, among their friends, in our culture . . . no matter what. And they’re bombarded with the lie that God’s Word isn’t true when it talks about earthly things (rocks, fossils), so it can’t be trusted to tell the truth about spiritual things. Noah experienced the same challenges during the time of the great Flood thousands of years ago. Yet, by God’s grace, he was able to Stand for God, Obey God, Trust God,Thank God, and Fear God . . . no matter what. The biggest watery catastrophe the world has ever known happened during his lifetime. But through it all, Noah found grace in the eyes of the Lord. Prepare for a boatload of excitement at Ocean Commotion, VBS for 2016! Register online today [Click Here] and get a free t-shirt for your child. Prepare for a boatload of excitement at Ocean Commotion, VBS for 2016! Register online today [Click Here!] and get a free t-shirt for your child.